Highlighting is one of my favorite tricks when it comes to makeup. My usual highlighting products include Mac’s Cream Blushes (Shades – Hush and Shell) and Mac’s Iridescent Powder (Shade – Silver Dusk). 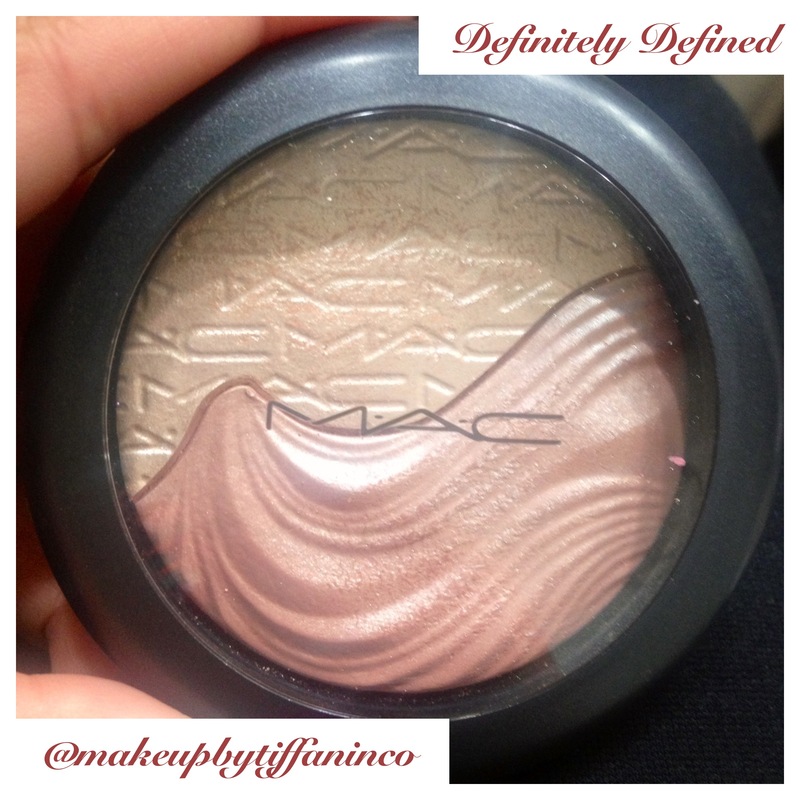 While shopping at Mac a few weeks ago I came across their Extra Dimension Skinfinish. It is a liquid-powder highlighter that sculpts, highlights, and adds dimension to your face. It comes in three shades: Definitely Defined, Double Definition and Shape the Future. See below for a description of each. I purchased Definitely Defined as I felt it would be more fitting for my skin tone. The cost….30 bucks! Today while doing my makeup, I decided to make my cheekbones the focal point of today’s look. I kept my eyes simple with just a little eyeliner and mascara. For my lips, I lined and filled them in with Urban Decay’s Lip Liner (Shade – Naked). For my cheeks, I used Mac’s Extra Dimension Skinfinish in Definitely Defined. I applied the silvery pink as a highlight for my cheekbone and the soft rose on my cheeks for scultping. See the pic below. 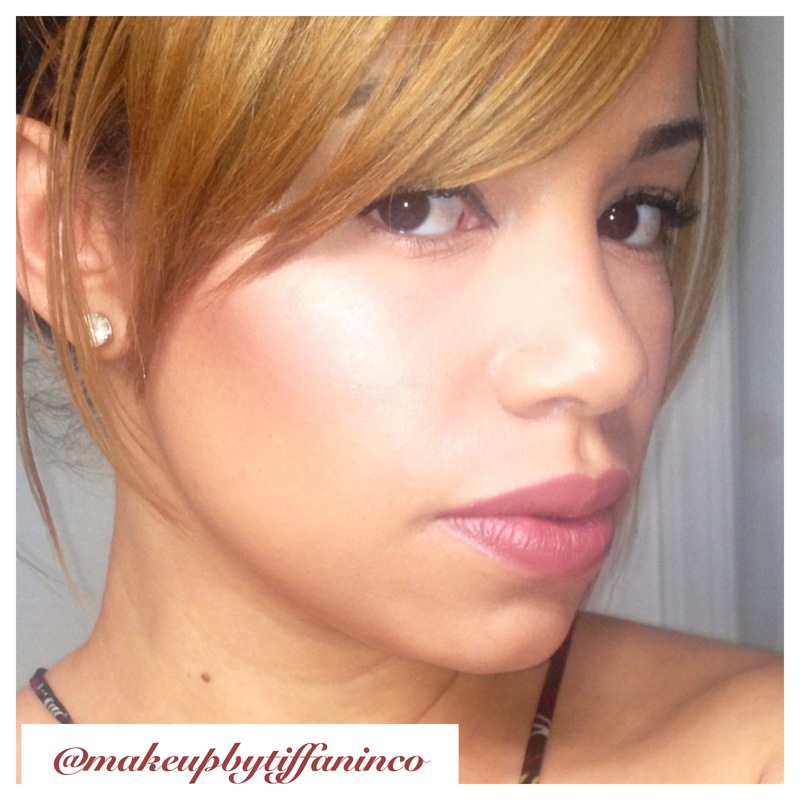 I can honestly say that this highlighter definitely sculpts, highlights and adds dimension! I have a fat face (don’t judge me and my pudge lol) and this product helped sculpt/define my cheek bones, making my face look slimmer. My face also had a radiant glow after using this product. When I applied the highlighter, I used my Real Techniques Blush Brush but found that using my fingers provided a better application because the Techniques brush didn’t pick up as much product. You can see in the picture how my fingers picked up a lot of the product….sometimes your fingers are the best tools when it comes to makeup. I would like to see how this product looks when applied wet. Maybe I will try that tomorrow or in a video tutorial. Overall, I think this is a great product. It provides a natural highlight and glow; perfect for day and night! Lovely and you are soooo gorgeous!